It’s always an exciting, yet daunting moment when testing results come back from the lab. These days, they arrive via email, in a pdf report, which we open with baited breath, wondering if the lab found anything; and if so, if there is a coherent story to tell. 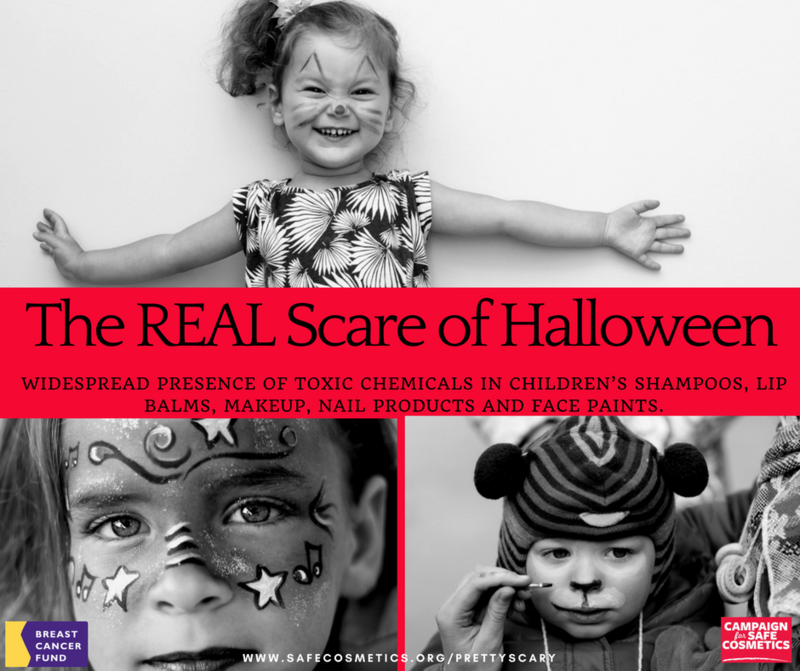 If you’ve been following our kids’ makeup project (Beyond the Label Bewitching: Kids’ Makeup Exposed), then you know we sent face paints for trace heavy metal analysis and kids’ makeup for volatile organic compound testing (Scary Secrets: What’s Hiding Inside Your Kids’ Makeup). We’ll be compiling and organizing the results over the next week, so we can share them on October 13, when we release our Report — Pretty Scary 2: Unmasking Toxic Chemicals in Kids’ Makeup!